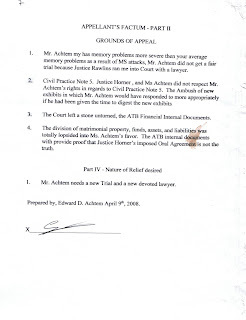 IN THE SUPREME COURT OF CANADA APPLICATION FOR LEAVE TO APPEALApplicant's Memorandum of Agrument, Part I - Statement of Facts -Projected completion date: August 11, 2008. 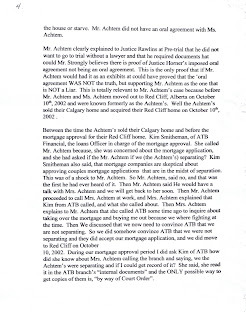 Projected filing date: August 12, 2008: (Click to view) point-n-click document of this application). 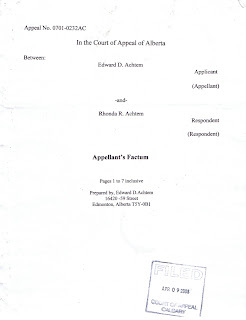 Click to View Corrputed Court of Appeal Judgement. 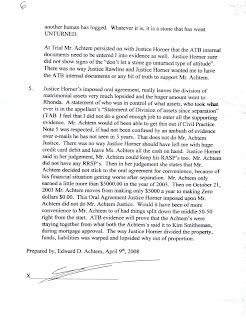 Click to view - Justice Horner's Reasons of Judgement. 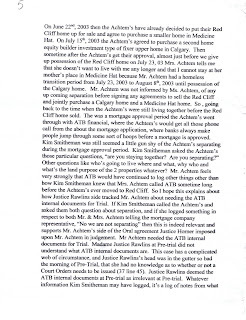 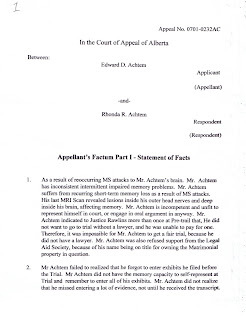 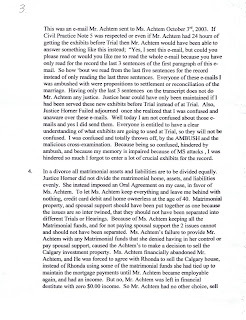 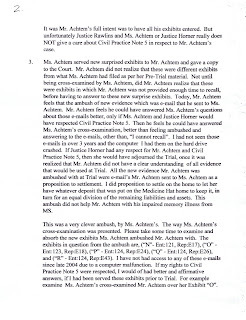 (Click to view Exhibit) e-mails, and complete listing of it and a complete listing of how Mr. Achtem could have a answered to Mrs. Sails's (Achtem) cross-examination if Justice Horner and Mrs. Achtem would have respected the Trial parameters).